For the second time this year, it looks like the United States Mint will follow the market and raise prices on collectible gold coins by as much as $50 for every ounce of gold they contain. Increases would come on Wednesday, Feb. 10, and they would include hikes on the Mint’s newest 2016 Mark Twain coins. Many of the agency’s other gold products are currently unavailable. U.S. Mint policy is to set gold coin prices based on a weekly average of London gold. The precious metal has been on fire with safe-haven demand driving prices up to their highest level since mid-June. Current Mint pricing is based on a weekly gold average that’s within the range of $1,100.00 to $1,149.99 an ounce. Gold is firmly into a higher tier, now trading over $1,198 an ounce. 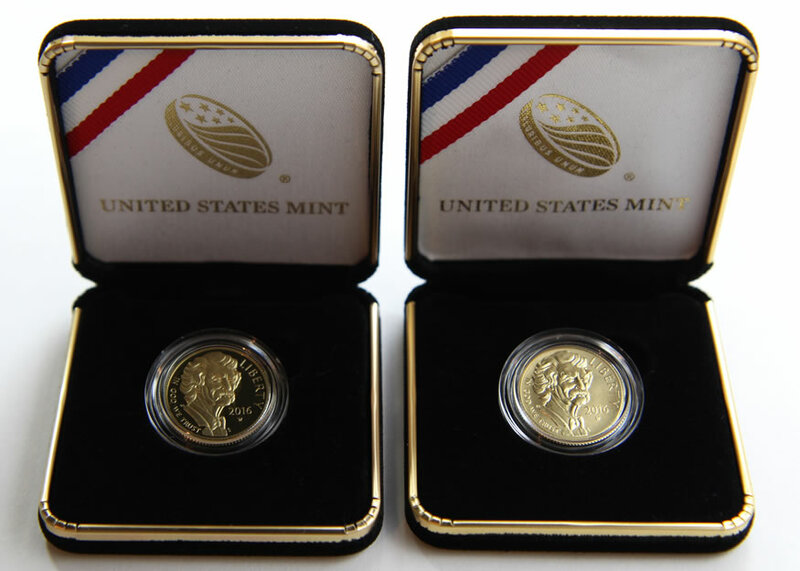 **Mark Twain Gold Coins are in their introductory sales period, which ends next Tuesday, Feb. 16, at 3 p.m. ET, when regular pricing takes effect and each coin automatically climbs by $5. Products with two asterisks (**) are currently unavailable. The United States Mint made fourteen pricing adjustments last year, raising them six times and dropping them eight times. The first for this year happened on the week ended Jan. 27 when coin prices were raised. Past adjustments have tended to happen on Wednesdays at around 2:00 p.m. ET. This article will get updated with what actually happens. Update: The U.S. Mint increased gold coin prices. New pricing went live a few minutes after 2:00 p.m. ET on Wednesday. The U.S. Mint has tended to make pricing adjustments on existing silver products when silver changes for a sustained time by +/- $5 an ounce from the point of where they originally set it. The U.S. Mint has purchased bullion from Gold Corporation, which operates the Perth Mint. Replacement bars for West Point Mint’s working stock is ordered on the open market, with some of it having come from the Perth. Also, some planchets have come from Gold Corporation. There is a limited number of qualified vendors which does throw a wrench into things. If memory serves, Gold Corporation has been a source for platinum planchets and silver half-dollar planchets.